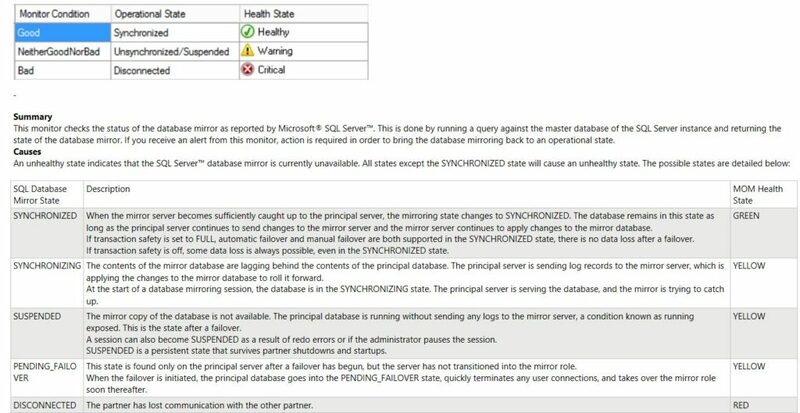 Real World Issue: Customer is seeing a lot of Critical alerts for Mirrored Databases in a Disconnected state, but only Warning alerts for Mirrored Databases in Suspended state. 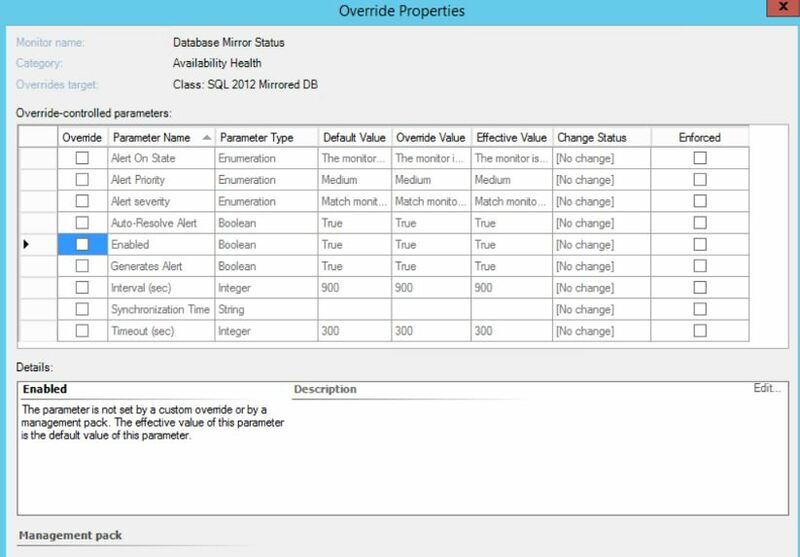 In this customer’s environment brief disconnects are common and not necessarily indicative of a Critical issue, whereas a mirrored database in a Suspended state is always Critical for this customer. 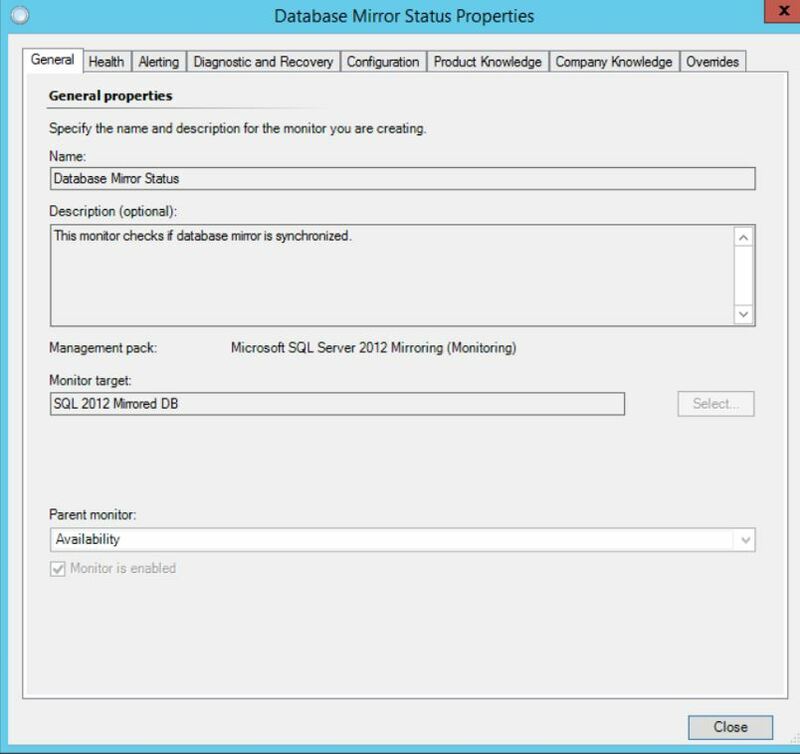 The customer wants to swap the default states such that Disconnected will now be Warning and Suspended will be Critical. We see the three states as well as the corresponding Statuses that map to those states. So to accommodate this request we need to do a little custom authoring in Visual Studio + VSAE.